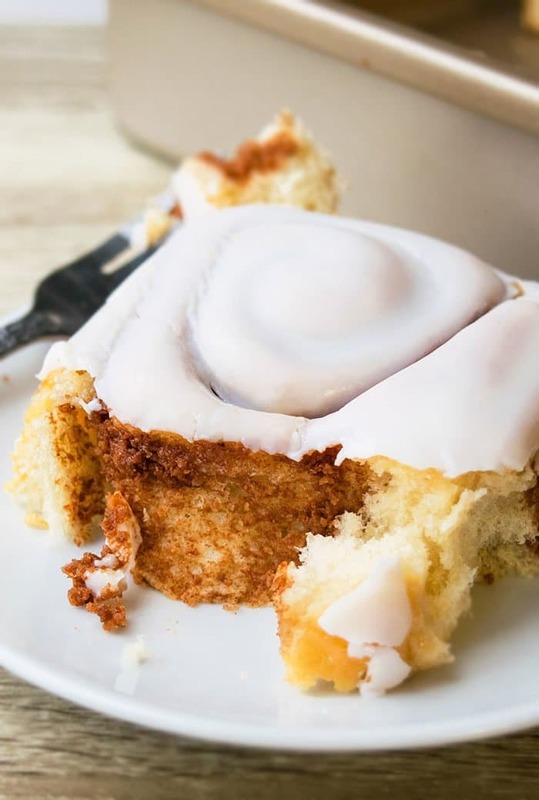 Quick and easy homemade cinnamon rolls recipe, made from scratch with simple ingredients. Soft, fluffy, loaded with cinnamon & sugar glaze. Ready in 1 hour! These fluffy sweet yeast rolls are great for breakfast or brunch. 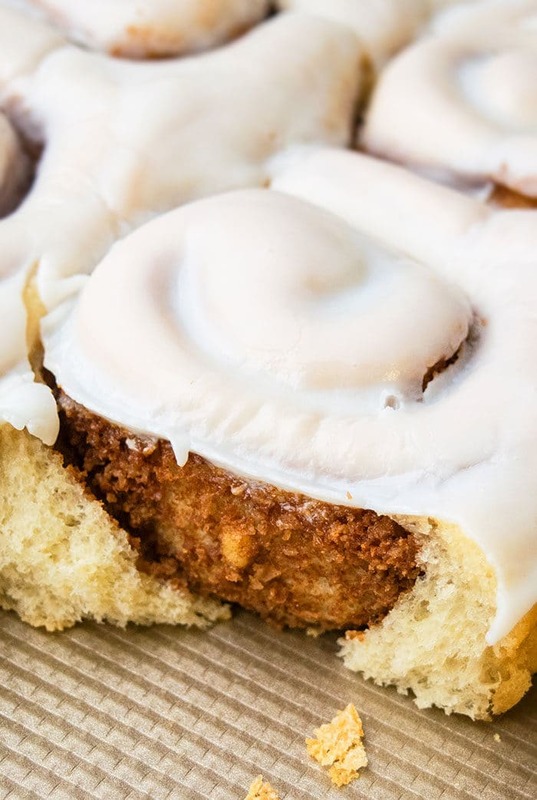 Unlike traditional overnight cinnamon rolls, which take very long to make, these are ready in 1 hour and still taste delicious and the recipe never fails! 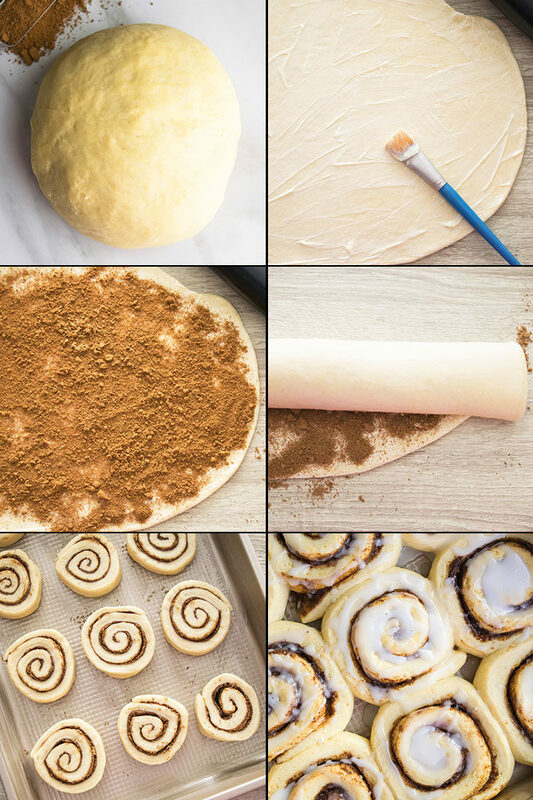 How to make best cinnamon rolls? Roll the dough and cut round slices. 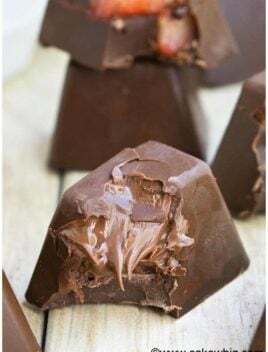 Place in baking pan and cover with aluminum foil. 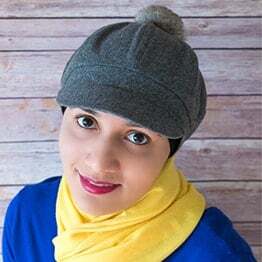 Let the rolls rise quickly in a heated oven. Spread vanilla glaze and you are done. 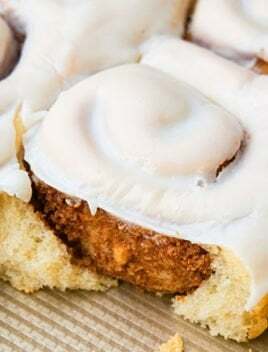 How to make cinnamon roll icing/ frosting? Typically, Cream Cheese Frosting is used by mixing together cream cheese, powdered sugar, butter, vanilla extract until smooth. If you don’t like the tangy cream cheese flavor, you can also use American Buttercream Frosting. 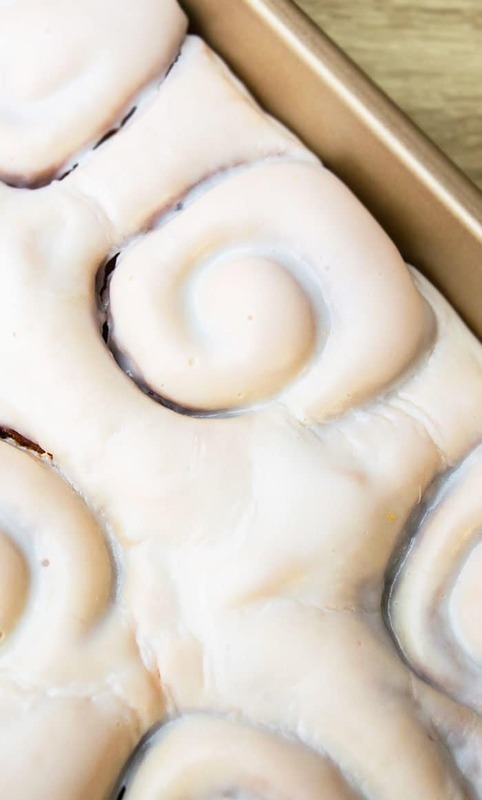 How to make cinnamon roll glaze? Mix together powdered sugar, butter, vanilla extract and milk until smooth and creamy. Pour and spread this on top of warm rolls, NOT hot rolls. How to keep rolls soft? Don’t oven-bake the rolls because that will dry them out. During baking, fill a square cake pan (Dimensions: 8×8) with water and place it in the bottom rack. This ensures the rolls stay moist while they bake. I do this when I bake homemade breads and this tip works very well for that too. The vanilla glaze on top of the baked rolls also adds moisture. Keep the glazed rolls covered in aluminum foil or plastic wrap to prevent them from drying out. Don’t over-heat the yeast because that kills it and prevents these rolls from rising. Use a stand mixer with the hook attachment, which is much quicker than kneading with hands. Use dental floss instead of a knife to make round slices because it makes more even and sharp cuts. Cinnamon rolls without yeast– I don’t recommend this because I made this recipe by replacing yeast with baking powder and baking soda. Unfortunately, it did not produce the perfect fluffy, bread-like texture. Make sure the oven is turned OFF when the rolls are rising in the warm oven because if the oven stays on, it will end up baking the rolls. The amount of cinnamon in the filling can be adjusted, based on your preference. Don’t replace all-purpose flour with any other flour because this yields the most softest rolls. Use unsalted butter to prevent rolls from becoming too salty. If the vanilla glaze is too thin, you can thicken it by mixing more powdered sugar. If the glaze is too thick, you can thin it by mixing some more milk. Allow the rolls to cool down a little bit so they are warm and not hot and then spread the glaze. 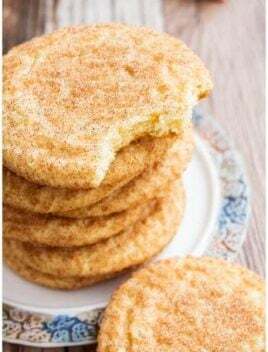 If you spread it when they are very hot, it will all melt and get absorbed into the rolls and you won’t have that pretty white frosted appearance on top. In a large mixing bowl, whisk together the flour and yeast. Keep aside. 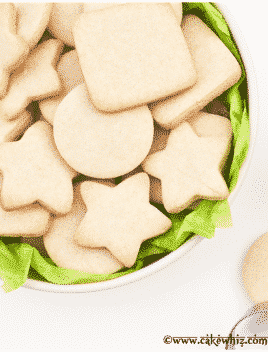 In a microwave-safe bowl, add sugar, butter, milk, water. Heat in the microwave for about 1 minute or until better is melted. Pour this milk mixture to the flour mixture and also add the egg. 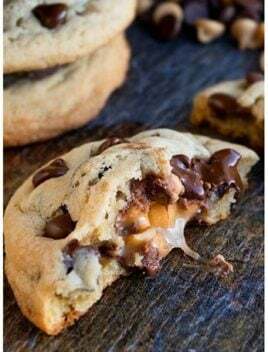 Mix in a stand mixer with the paddle attachment until the dough becomes sticky. Remove the paddle attachment and replace it with the hook attachment. Continue mixing until the dough becomes elastic. Note: If you are not using a stand mixer, you can also knead this dough by hands on a floured surface until dough becomes elastic. It will take about 6-8 minutes by hands. Cover the dough with plastic wrap and let it rest for 6 minutes or until the plastic becomes foggy. While the dough is resting, heat the oven to 200 degrees and then, turn it OFF. Prepare the filling by mixing together brown sugar, cinnamon powder and vanilla extract in a mixing bowl. Keep aside. Next, roll out the dough on a floured surface (Dimensions: 9×16). Brush softened butter on top of the dough. Roll the dough from one end to the other, jelly-roll style. Use dental floss to make 12 even slices. There may be some additional odd-shaped slices from the ends. Place these rolls in a greased rectangle cake pan (Dimensions: 9×13). Make sure to leave space between the rolls to allow them enough space to rise. Place in the warm oven and let the rolls rise for 25 minutes. Make sure the oven is turned OFF! Remove the pan from the oven and place on counter. Remove aluminum foil from pan and bake for 15-18 minutes or until rolls are golden brown. While the rolls are baking, prepare the glaze by mixing together butter, powdered sugar, vanilla extract and milk until smooth and creamy. 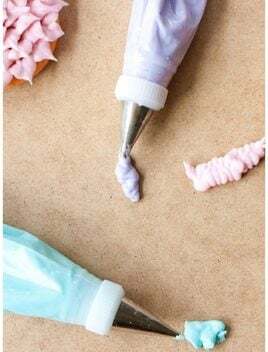 Note: Use clear vanilla extract if you want a super white glaze/frosting. The regular vanilla extract has a brown color which makes it a little off-white. Spread the glaze on top after the rolls have cooled down for about 10 minutes. Some of it will get absorbed and make very ooey gooey rolls and some of it will settle on the top for a pretty appearance. Enjoy! Note: If you prefer your sweet rolls super sweet, double the glaze recipe and spread as much as you like. Tastes best when served fresh. 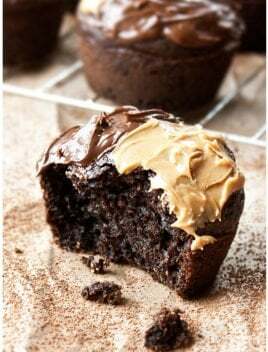 However, leftovers can be stored in a sealed container in the fridge for up to 2 days and heated in the microwave to make them ooey gooey again. I can’t believe how easy this is! Definitely making this soon!